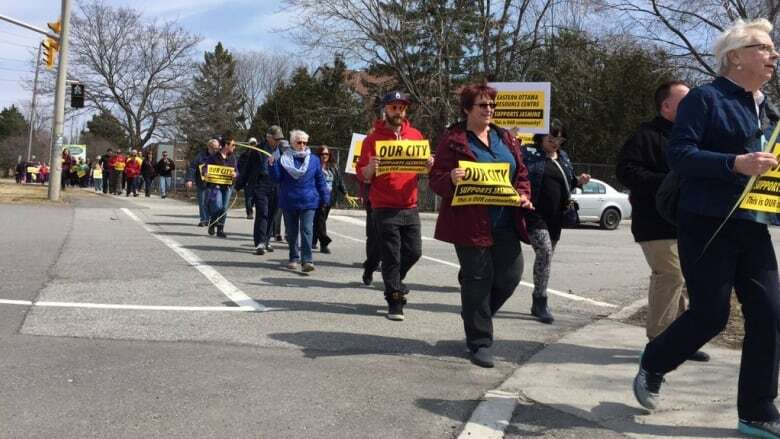 More than one hundred people marched along Jasmine Crescent Sunday to support the east Ottawa community of Gloucester's work to keep violent crime in the area down. Community members held a similar march a year ago demanding an end to youth violence and gang-related crime after a spate of shootings, stabbings and three killings in less than a year. "This neighbourhood has had some challenges in the last year-and-a-half," said Ottawa mayor Jim Watson. "But we're starting to see an improvement in safety, and it's because the community came together." Three young men were killed on the east Ottawa street in 2015 and 2016: 20-year-old Nooredin Hassan, 18-year-old Connor Stevenson, and 17-year-old Issaiah Clachar. Watson said the shootings and murders on Jasmine Crescent have had a "debilitating" impact on residents. He credited the work of local councillor Tim Tierney and community groups like Crime Prevention Ottawa and Neighbourhood Watch for working with residents to help turn things around. "They said, 'We're not going to allow crime and bad behaviour to take over our neighbourhood'. So kudos to the community." 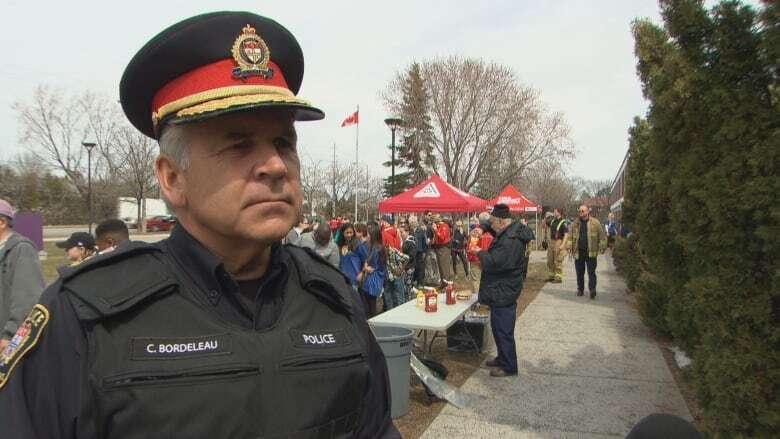 Ottawa police Chief Charles Bordeleau agrees and said he believes that the local residents' commitment and hard work has helped keep Jasmine Street safer. "We've seen a dramatic reduction in crime rates here in this community," said Bordeleau, noting there have been no homicides in Gloucester so far in 2017. "What's really reassuring is seeing a community come together like this and produce these types of results," he said. 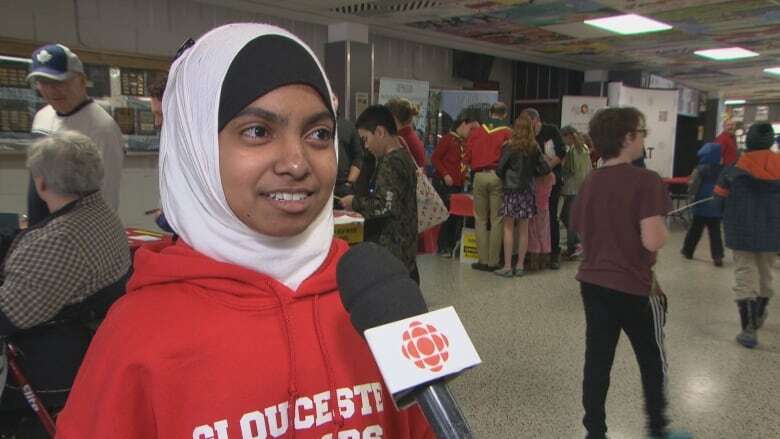 "I think that really affirms the work that our officers are doing and our belief, and the philosophy, of community policing,"
Zarin Tasneem, 17, has lived on Jasmine Crescent for about three years. The Gloucester High School student said while the street is often portrayed negatively, it's actually a caring community that looks out for those who live there. "I like the fact that everyone knows one another, so we're all kind of like family," she said. "We all try to help each other out and we're always there for each other." While Tasneem admits safety is a concern for some of her family members, she believes people outside the community should have an understanding of what the neighbourhood is really like. "I think what we really need to do is to make sure that everyone works together to show that it's not actually a terrible place to live."